Working at SinglePlatform keeps me busy looking at menus from across the country all day. Recently I have noticed how frequently restaurants change their restaurant’s menu and it led me to take a further look into how and why menus change. We live in a world where people have all sorts of likes, dislikes, aversions and curiosities when it comes to food. Here are some changes that you might want to consider implementing on your menu. According to Rewards Network, 59% of diners report being more likely to purchase items labeled seasonal on a restaurant menu. Using seasonal produce can also increase revenue for restaurants by reducing the cost of ingredients. Naturopath Claire Georgiou from Reboot with Joe brings to our attention that eating seasonally is good for our bodies. Citrus season is perfectly placed in the winter when we need vitamin C the most. Eating seasonally is also more environmentally friendly. Seasonal foods require less agricultural efforts to grow. Many chefs are incorporating the use of super foods into their menu. Ancient grains, seeds, nuts, goji berries and acai are just a few of the popular super foods featured on menus today that promote health. Restaurants concepts from quick serve to fine dining restaurants are putting superfoods on their menus. 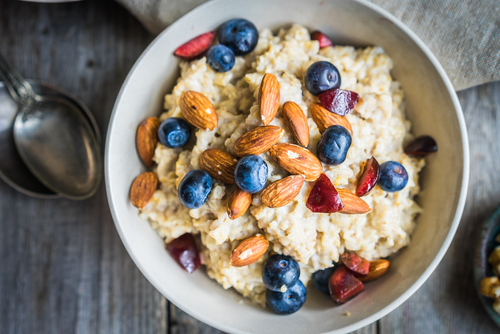 Food Industry Analyst, Elaine Tecklenburg notes that oatmeal, a popular super food, has jumped in popularity by 15% in recent years. The spreading trend shows that there is a demand from customers for these super foods and eating the way our ancestors did is becoming more and more relevant. Some people think that organic is just another word for expensive, but you really can taste the difference. Organic Consumers writer Sue Hoye reports that a restaurant in Washington, DC is has shifted to a menu that is certified organic. With 95% of the produce being organically sourced, diners can now eat a dinner at Restaurant Nora and rest assured that they are not consuming any added chemicals or pesticides. According to Dr. Edward Group from the Global Healing Center, eating organic benefits us by eliminating pesticides from our diet, usually provides us with fresher produce than GMO alternatives and is better for your conscience. Many Chefs (like Alice Waters in an NPR interview) agree that organic food tastes better than GMO foods. While other restaurants may be slow to go full organic, many are jumping on the wagon with this trend and making the most of it. The fact of the matter is, restaurants have always and will continue to change their menus. Whether you are changing for pricing, trends or just adding some new specials, your menus need to be changed everywhere. Over 50,000 restaurants in the US are already using SinglePlatform to help them stand our everywhere that matters online. Get Started.